Holland says community and business leaders are continuing to ask for further property tax reductions from his government, so he's going to ask for another $2 million to help them. 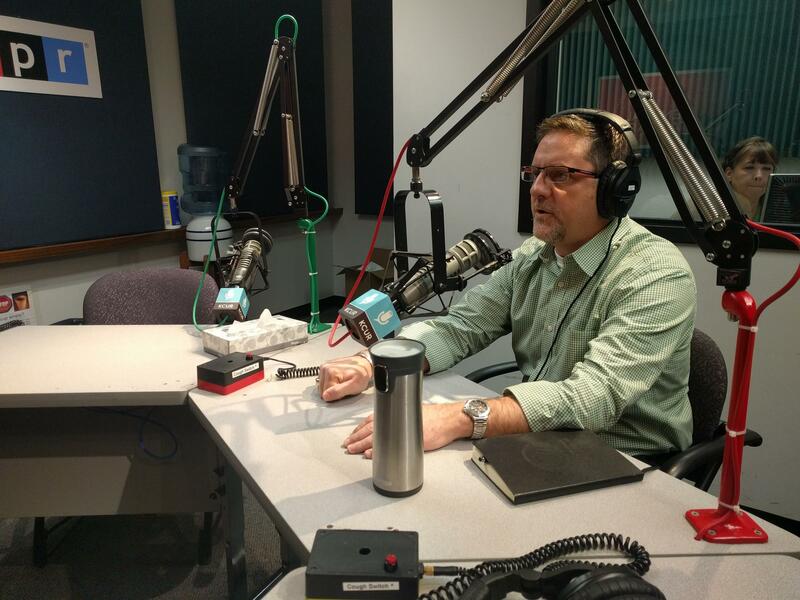 The former pastor, who is planning to run for re-election this fall, spoke with KCUR's Up To Date ​host Steve Kraske about the progress his community has made, and what work he's looking to tackle next. You can listen to the entire conversation here. If you're a national retailer and you're going to open a store, and you can go to 135th and Metcalf, where the median household income's going to be around $80,000 to $90,000 a year or higher, or you can go to downtown Kansas City, Kansas, where the median household income's $18,000 a year. If you're just looking dollars and cents, you're going south. One of the challenges we have is the sites we're looking at. Some of these city blocks in downtown Kansas City, Kansas, have eight different owners in five different states. The absentee landlords have devastated the urban areas, and there's not much you can do about that. If you can go buy a piece of ground out on a farm that's owned by a single owner, and there's no brownfield underneath it, it's just an easier transaction. I had someone say to me at a neighborhood meeting, "Well, why'd you build a new Price Chopper at 78th and State, and you haven't built one downtown yet?" 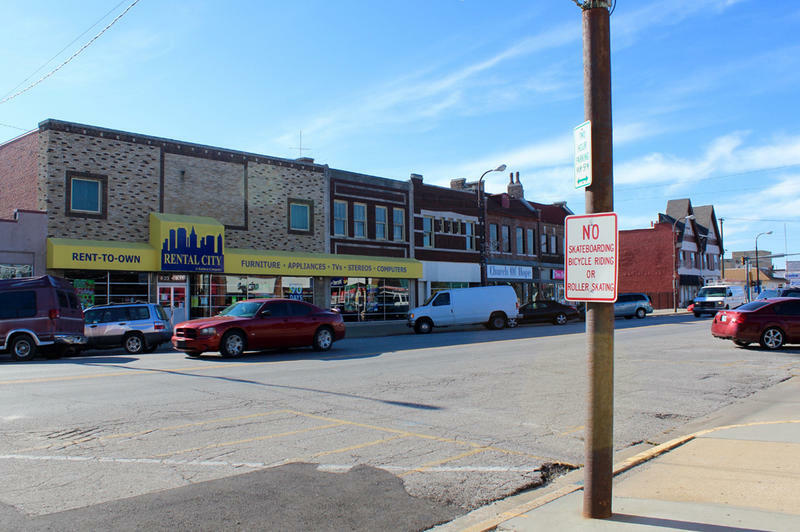 Well [with] 78th and State, a private developer came with $17 million in their pocket, and no one has offered that downtown. We can't do a public-private partnership without the private portion of it. The more economically challenged an area ... the harder it is. Explanation, not excuse: We're going to build a grocery store downtown, it's just harder and takes longer. Unification alone dropped property taxes about 15 percent, and that's been holding across the board. The payoff of the STAR bonds last year — $12 million dollars in new revenue — gave us an opportunity to reduce property taxes more. I went out and did a listening tour ... to find out how much of that $12 million should go into property tax reduction and how much should go into other investments. Pretty consistently with the 700 citizens that came out ... they wanted investment in amenities as well as investment in property tax reduction. We reduced two mills, which is about $2 million last [year]. I'm going to push for another $2 million reduction, two mill reduction, in the city property taxes again this summer. The state of Kansas did these reckless tax cuts that bankrupted the state, and we are going to be much more responsible. We did a reduction last year and then we refilled our fund balances, maintained our credit rating — which is not very exciting politically but pretty essential — then we're going to be in a position to come back and reduce two more mills. Holland is encouraged by the strong pace of urban growth. "I say this all the time: I think our downtown is the next Crossroads." We've identified $14 of the $16 million [to build]. We're on the brink. We have a financial package for the grocery store, and we're talking to a couple of different operators right now. As soon as we sign an operator, we're moving forward. I cannot tell you, this has been the hardest project I've ever been a part of. We're looking in the area of around 10th and State, 10th and Minnesota, though we've identified a number of different sites where it can be. Because we're going to have to do property acquisition we can't get married to one site, but we have identified that's the area that we want to rejuvenate ... right there in one of the hardest hit areas, one of the areas that is a food desert, where the median household income struggles. We got it out of the hands of an absentee landlord in 2007 and have been working on the redevelopment. We had a plan, and the recession hit, so it's been a really hard environment. We finally got it torn down so that we have a level playing field out there, and we're actively working for a development. If we wanted to build the largest truck stop west of the Mississippi, we could put it in today but that's not the highest and best use for that piece of property. We are looking at some combination of light commercial and some retail, [because] you've got to go a five mile radius to find any retail around Indian Springs. We've got to bring some retail back but the market's not calling for retail there, it's calling for industrial. We're really pushing back on that because I think doing this development right is more important than doing it right now because it's such a valuable piece of ground for our community. For every good absentee landlord we have nine that are knuckle-heads, who are just sucking the money out of urban areas around the county. The blight reduction issue is really a comprehensive look, we have 17 different departments that touch it. We have absentee landlords that own 50, 75 properties and are just collecting rent and watching it fall down, I have no patience for that. We're using some new money to hire contract attorneys to go do the title work, to make sure it's all clean. How you get properties out of these mega-banks — U.S. Bank probably owns over 100 empty houses in our community: How do you get those out of the big banks hands and either into the hands of a [nonprofit] that'll flip it, or if it's already past usage, getting it torn down? We also have some ... low income, elderly people who are not able to take care of their home. That's the smallest percentage of our problem, but that's the area where we need to focus the most attention and provide wrap-around services to take care of grandma. We don't just want to put grandma out of her house, but ... we need to have her in a living situation that's healthy. There's no question that having dilapidated properties and blight attracts crime. That's one of the big issues that we're working on in terms of supporting our police department and using publicly available data to identify what houses are empty. The post office knows which houses are empty because they're not delivering any more, and the utility company knows what houses are empty because the utilities are shut off. Using that publicly available data and putting it into a system that's allowing us to analyze it and to address it in a very aggressive way ... is going to pay dividends. I couldn't be more proud of my home town and I couldn't be more proud of the progress we're making, and of the steps that we're taking. We've never had more capital investment, we've never had more job growth, we've never been on a higher upswing in terms of morale in our community. For all the challenges that we face, what a privilege it is to be in a city that is so diverse, that's growing, that has such a great, rich history and tradition and so much community pride. If I can continue to do my part to bring jobs, to address the challenges, and to grow the community, I certainly would love to do that. Luke X. Martin is a freelance contributor for KCUR 89.3 and an associate producer for 'Up To Date.' He can be reached at luke@kcur.org. The State Of Government, From KCK And Washington, D.C.
Kansas City, Kansas, Mayor Mark Holland speaks with host Steve Kraske about the State of the Government Address he presented on February 28, noting the progress made in Wyandotte County, and what more needs to be done. Also, our Political Pundits examine President Trump's first address to a joint session of Congress. Except for the chain of events it spurred in the victim's life, the assault and robbery of Brad Grabs 14 years ago in the Northeast neighborhood of Kansas City, Kansas, would not have been particularly notable. 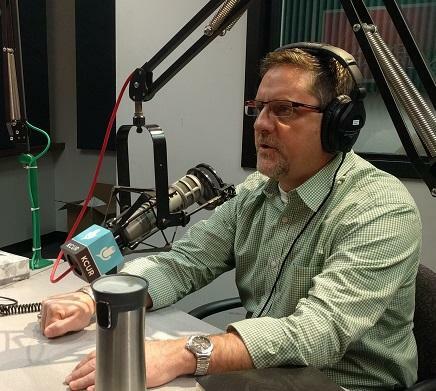 Despite the ensuing anger and fear, Grabs says prayer and reflection on the events of that Sunday afternoon led him to believe his assaulters weren’t “bad kids,” he told KCUR’s Brian Ellison on a recent episode of Up To Date. They were youngsters caught in a bad situation with little opportunity for positive growth. Amazon has officially started construction on a huge new fulfillment center in Kansas City, Kansas. 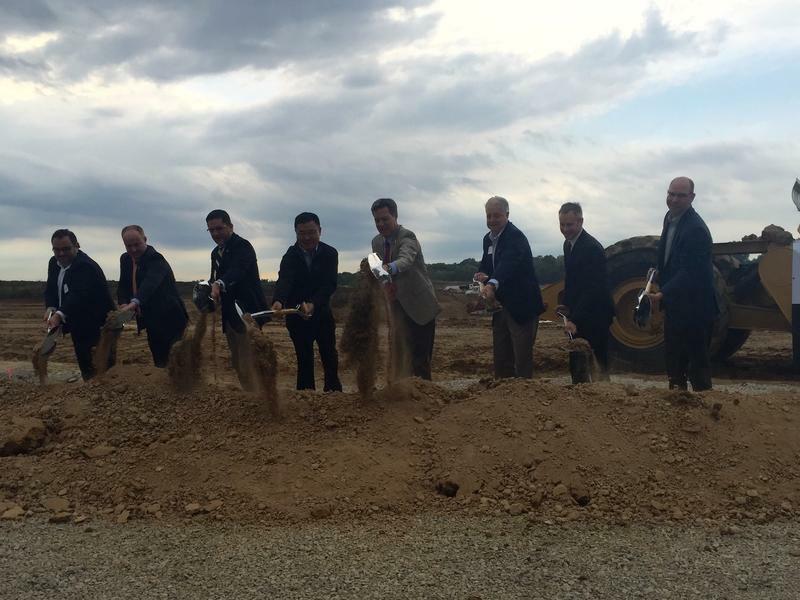 The facility, which will sit on 190 acres of land near Interstate 70 and the Turner Diagonal, will provide more than 1,000 jobs to the underutilized area. Gary Guo, Amazon's Vice President of North America Operations, said the center will host Amazon's robotic technologies. It will fill orders for small items like books, electronics, and small household items. He said the center will be operating by the peak of holiday shopping in 2017.